As we all know, there are 3 class of people in America - poor, middle class, and the wealthy folks. 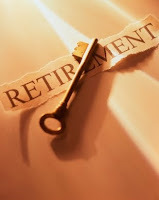 Once all classes of people begin their working years and actually begin saving for retirement, say about 23yrs old, the retirement vehicles available to the poor and middle class for retirement differ greatly from the vehicles available to the wealthy people for retirement. Because the poor people mostly depend on the government for social security and WIC - we will exclude them from the remainder of this article. As for the middle class, 401Ks, IRA's, 403B plans, 529 plans, and pensions all serve as vehicles to help the largest class of people within America save for retirement. The problem with these plans are that they are "long-only" plans...meaning that when the market does well, the retirement plans do well. But when the market does poorly - as we just recently experienced - these so-called retirement plans do poorly. It's almost as if you have to time the market in order to retire...think about those elderly people who lost 30-40% of their retirement plan and now have to go back to work at 70yrs old as Walmart greeters or grocery baggers. The reason for this is because these type of retirement plans are just average retirement plans...and don't serve as great investment vehicles for retirement. These retirement plans just give off average returns - and there are better investment vehicles available...the problem is that they're only available to the wealthy. Why? Because the SEC says so. What I'm talking about is the investment vehicles provided by hedge funds and they're only available to the wealthy class of people. The good deal about these hedge funds is that their able to give their investors ABSOLUTE RETURNs. Meaning if the market goes up or down - these funds are able to make profits. So if you're invested in a hedge fund, you make money when the market goes up...AND when the market goes down. But the SEC says you must be an "accredited" investor to get accepted into these funds - meaning you need at least $1million dollars just to get a high class investor to be willing to manage your money. But all is not lost for the middle class - the most simple and sure way to retire is to get rid of your debts! Just pay off the car notes, student loans, credit cards, mortgage, etc. and then use your money to invest in assets and commodities that offer a nice return of cash flow into your pockets.